After a middling at best season of Survivor: Ghost Island, the show delivered a somewhat shocking finale. Spoilers ahead. 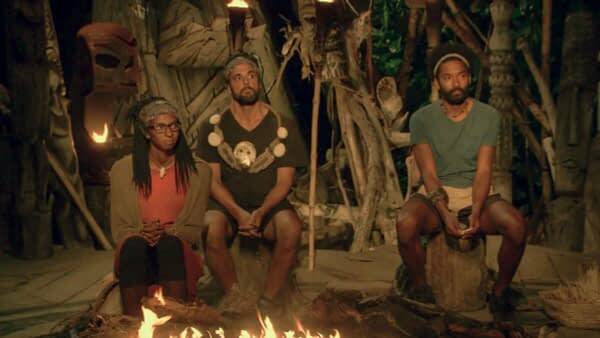 “It Is Game Time Kids” – Laurel Johnson, Domenick Abbate and Wendell Holland at Tribal Council on the fourteenth episode of Survivor: Ghost Island, which is a two-hour season finale airing Wednesday, May 23 (8:00-11:00 PM, ET/PT) on the CBS Television Network. Photo: Screen Grab/CBS Entertainment ÃÂ©2018 CBS Broadcasting, Inc. All Rights Reserved. I say somewhat, because even though for the first time in 36 seasons the final vote ended in a tie. Over the years the show has had to come up with more complicated ways of trying to add drama to the generally formulaic format. The final vote has generally stayed the same up until now. 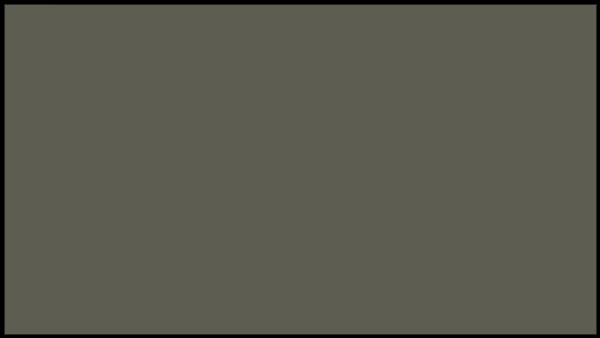 The 10 castaways voted out prior to the finale suddenly get to hold the power, as the finalists must convince the jury of their fellow players to vote FOR them. How players get to the final few has changed somewhat, recently the power has shifted somewhat, where when the show is down to four remaining players, the winner of the last immunity challenge gets to pick one player to sit next to them before the jury. The other two competitors engage in a fire making challenge (a skill that you think at this point every Survivor fan would have) to determine the last finalist. This season has been run by power duo Wendell Holland Jr. and Domenick Abbate. Other players of the game constantly failed to make a move to vote either of the two out, so no one should have been surprised by their presence amongst the finalists. Laurel Johnson, was given a spot in the finale by Domenick, who thought 4th place player Angela Perkins had a better chance of eliminating Wendell in a fire making challenge. In spite of it being a reality show, it felt it had been scripted from the very start. You could even see Jeff Probst (who I am convinced is immortal, or that there’s a portrait of him hanging somewhere in an attic aging instead of him…. OR… Jeff if you read this please send me the brand of sunscreen you use) struggling at tribal councils to inject some sort of theatrics. 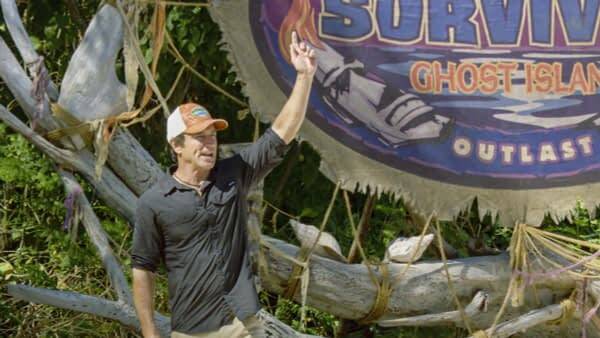 “It Is Game Time Kids” – Jeff Probst on the fourteenth episode of Survivor: Ghost Island, which is a two-hour season finale airing Wednesday, May 23 (8:00-11:00 PM, ET/PT) on the CBS Television Network. Photo: Screen Grab/CBS Entertainment ÃÂ©2018 CBS Broadcasting, Inc. All Rights Reserved. Even the ominous Ghost Island itself was lacking. 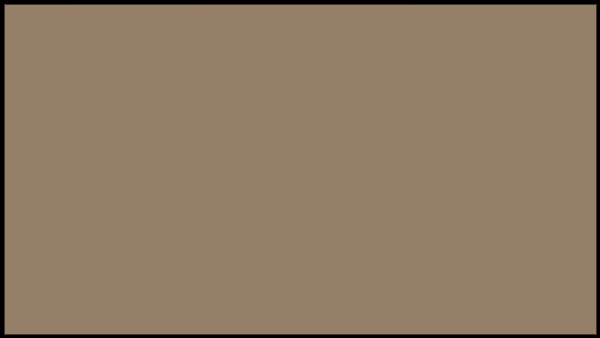 Sending players to an Exile Island ripoff to have them have a CHANCE at playing a game that COULD lead them to an advantage felt like a stretch. Bringing back old idols from previous seasons that weren’t played well should have been an interesting conceit as well, yet was just a glossed up way of injecting more immunity idols into the season. At least Probst got his chance at spectacle after the final jury vote. Typically the contestants vote while still at their remote location, and have to wait weeks to find out the winner, which gets revealed at the live finale. This time was different. Probst began reading the votes on the spot, shocking the contestants. Longtime Survivor watchers could guess something was up at this point. Apparently the show producers tend to read the results on the spot, and tend to arrange the order of the votes for an added sense of suspense. I assume they saw that the votes were split, and decided to immediately read them out on the spot. There’s never been a tie at the finale before, over the years the way in which ties are handled during the regular game play has grown more complicated, involving fire making, drawing rocks, etc. As far as I can tell there isn’t a published rule book for Survivor, and honestly half the time it feels like they’re pulling rules out of thin air (see: the challenge earlier this season when Wendell finished his puzzle first but forgot to verbally call Probst over). Apparently the solution to a tie in the finale is to have the third finalist become the final member of the jury and break the deadlock. This should have been incredibly exciting, but given the neck and neck nature of the season to this point, I almost didn’t care at this point. Laurel was put on the spot and had to cast a $1 million vote. THEN in typical fashion Jeff took the vote and headed off into the future (i.e. last night). It was probably a no brainer that Laurel was going to vote for Wendell. They had a visibly closer relationship, Wendell even played his final immunity idol for her, guaranteeing her a spot in the final four. While the finale was historic in terms of Survivor history. Survivor: Ghost Island overall felt like a snooze fest. In part because it was so evenly split between Wendell and Domenick. The rushed way in which they sped through the votes (probably done in editing since they knew that it was a tie) didn’t help with the entertainment value either. We can only hope that next season, dubbed Survivor: David vs. Goliath will be more interesting.